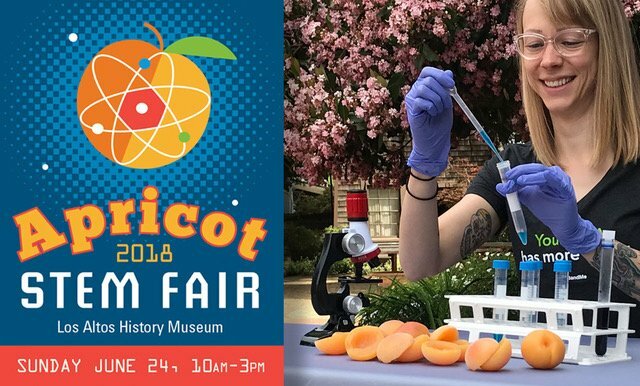 In the spirit of our local pioneers and entrepreneurs, this fun family event will provide an opportunity to explore hands-on Science, Technology, Engineering, and Math (STEM) activities presented by local educational non-profits and vendors, orchard-themed games and activities, a kid’s cooking demonstration, and guided tours of the historic J. Gilbert Smith house and orchard. An apricot specialty tasting competition will add to the festivities. The community is invited to enter favorite apricot appetizers, jams, entrees, or desserts for tasting by a celebrity panel of judges. Visitors may also join the tasting as a People’s Choice Judge by purchasing a $5 badge for each category at the fair. Deadline to enter the competition is June 1. For more information see https://www.losaltoshistory.org/apricotSTEM. The event will be held in the Museum Main Gallery and outside patio courtyard. Free admission.